Usability in architecture is based on norms and guidelines which are established for each building function. All the experiences that have been noticed along the years and all the issues that needed to be resolved have all been addressed depending on the functionality they are tied to and gathered in books and then pushed as common practices and regulations. A building must respect these rules otherwise the project is not approved. 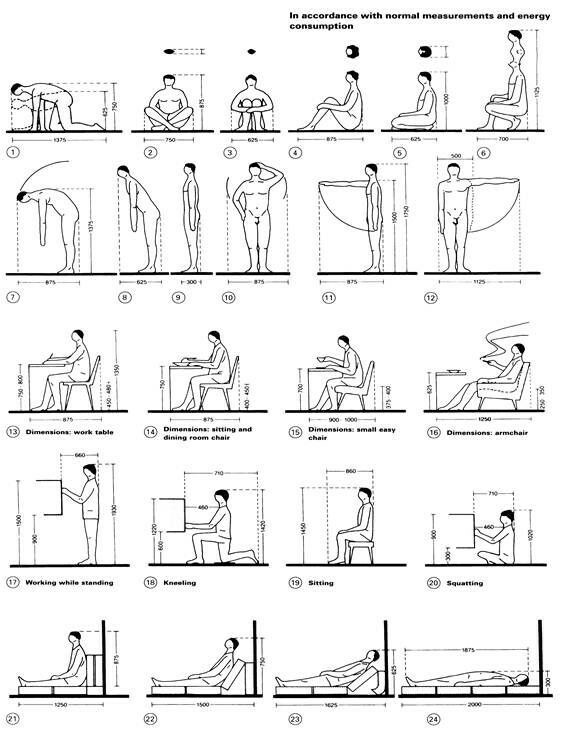 These rules can include from the direction of opening of the doors to the minimum number of steps (which is three by the way ) to the distance from one apartment door to the evacuation door, or even the soundproof, structural and fire resistant characteristics of the walls, and the minimum size of windows for ensuring a qualitative environment, all of these are present in these norms. 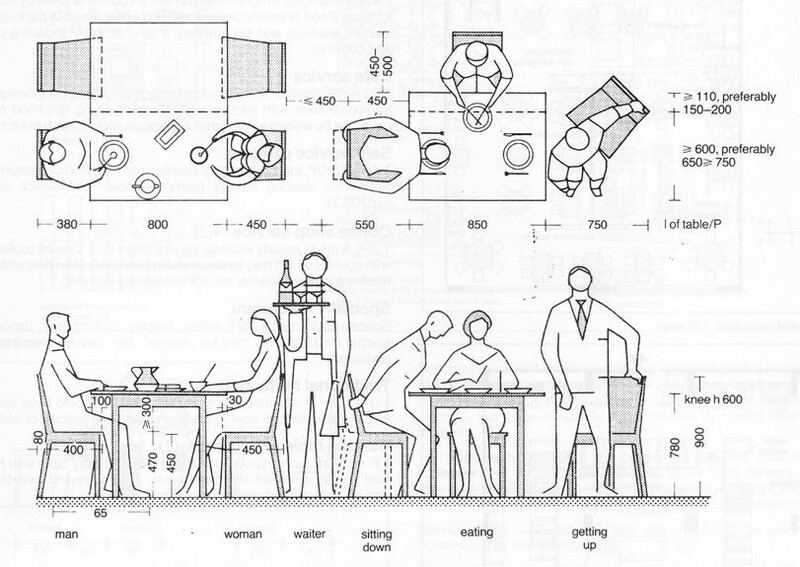 Even the amount of air and the space per person is defined in the architectural guidelines. A new product or a new approach of a design can replace older ones as long as it respects at least the minimum standard described in the norms and it has been checked and proved to work and respect the safety regulations. The downside is that these are old, and, although valuable, they need to be revised and adapted to the current needs. UX on the other hand, develops flows and shapes the product so that it fits these, instead of trying to fit flows into already given shapes. Whenever starting a project the team should be composed not just by architects, but also urban planners, social workers, beneficiaries, engineers and their goal in the first stage should be to understand, study and evaluate the area in which they desire to create an intervention and see where it could use improvement. What they should be looking at is not just the cost of buildings in the area, but also auto circulation patterns, general view of the area, general feel of the people that are present in that area, if they see it as safe or not, if they have a connection with that or not, the type of functions that are around, such as Services, industrial, or residential. Usually the team consists of architects that listen to the beneficiary and then tell everyone else what to do. Once the profile of the area has been established then it should be time to look at what type of intervention would increase its value and the quality of life. (according to what they teach you in college). It does not work this way. In UX however, you start with researching what is needed. You do not use the space and time to build something that will make things harder. If you do, it simply dies. It is a more balanced system. Due to the type of effort that is necessary for putting up a building, the changes that it goes through are only limited to general requirements dictated by the overall area in which it finds itself. However, there are solutions that create an adaptable intervention in which for example it is easy to move around walls without too much hassle. The timeframe necessary for function change or for an area type change is also longer than in the case of digital products that need to adapt to daily user needs and for which common practices have only started to be applied. A building will be repurposed if the function that it held is no longer necessary which is why we can see industrial buildings turn into lofts or clubs, meeting areas or social centers. Cities grow, expand, and areas are no longer services, they become residential, they are no longer outskirts of the city, they are inside the city. Buildings adapt to these needs by providing a contextual element, a shell that is then repurposed. UX is meant to be adapted and changed, to keep up with what is needed. It is meant to be dynamic enough to shape the digital environment and evolve with it. Right now the only people that understand the building before it is constructed are the ones that are part of the team that is building it and their feedback is based mostly on the norms and regulations that they need to respect and their own view of what is needed — an assumption. Designing for the digital environment involves user testing, user interviews and iteration cycles. It is developing an entire world of connections based on requirements . Part of what you were taught in school and the hardest part that you learn working as an architect is that people don’t know what you’re thinking or what you want them to do. You need to make it intuitive and you need to make it natural to follow. The genius part in this is to respect all these norms and at the same time, to create a totally new experience and an identity without sacrificing any comfort, safety, or attitude. 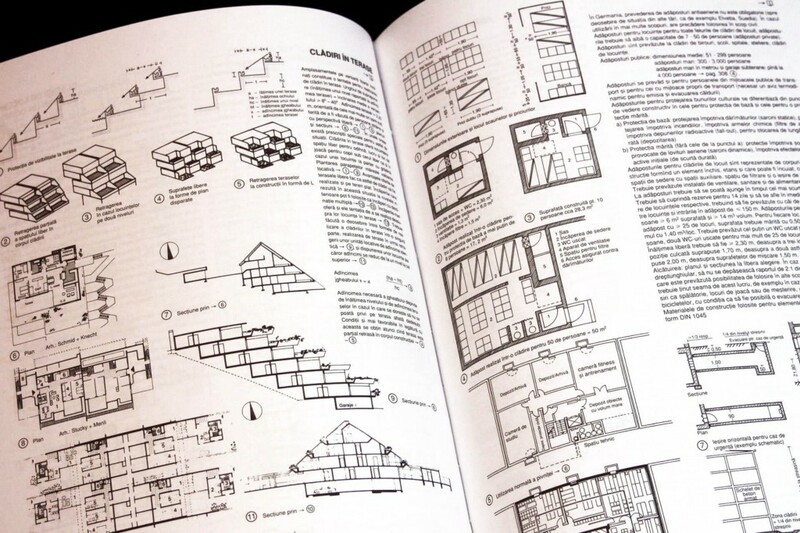 A lot of architecture is actually based on studying human behavior and patterns. This leads to buildings that are more and more innovative, more adaptable and customizable to user needs. However, this is on a small scale. Digital products that are not intuitive enough die, and others take their place. It’s not the same when something of concrete and bricks takes up a spot in the world. Finishes can be changed, lights can be adapted, signs can be put up and furniture can be arranged in such a way that it is immediately understood what that space is meant for or close to. Some of the important things that UX could learn from architecture are what utopias have died, the reasons why that happened, what was the social, economical and political context of that specific time that made them dissapear? What were the rules and common practices? Which is the point where rules should stop and creativity should take over? What are the areas that you should define as rules and not just guidelines? The conclusions of usability testing and architecture can sometimes be seen in the form of a piece of paper put on the door which says push, don’t pull. Other times there are arrows that indicate that a certain function is to the left right ahead, because it makes no sense to the user where they could find it. So many times everything looks the same and there is no special importance given to an area or another, not by finishes, not by furniture, or light. I have once gone around an entire university building twice before finding the one small pathway to the right that I had to take in order to get to the break room. That is not a good design, it is not intuitive, it does not feel natural and it is based too much on a concept than on actual behavior and signifiers. The way architecture is thought is as a model-based organism, and by understanding the identity of modules, their proximity and then by signaling different types of modules, users can define where they are from other modules. For example- all restaurants will have a bathroom and it should be somewhere more private. When you look around you should be able to tell where that is. Stop wasting space and time. Architects should start testing yesterday, use 3D models, AR and VR to make sure that they get actionable feedback and that they are not just building for the person that pays. Built environment affects all of us, affects our climate, our paths to work- so time, our psychological state and therefore our lives. It is time for architects to stop playing God and be more humble. To read more on “Architecture vs UX” click here. Architecture vs UX — Usability was originally published in UX Collective on Medium, where people are continuing the conversation by highlighting and responding to this story.